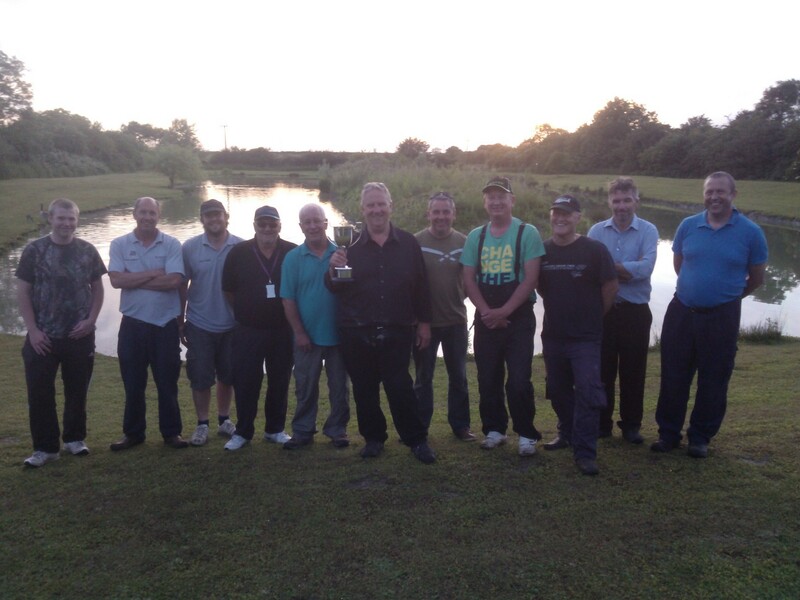 MSSC Angling – MSSC Angling Cup 2014 – Results! MSSC Angling – MSSC Angling Cup 2014. The summers big match did not disappoint with both great weather, good fishing and a fantastic turnout of 14 fishermen. 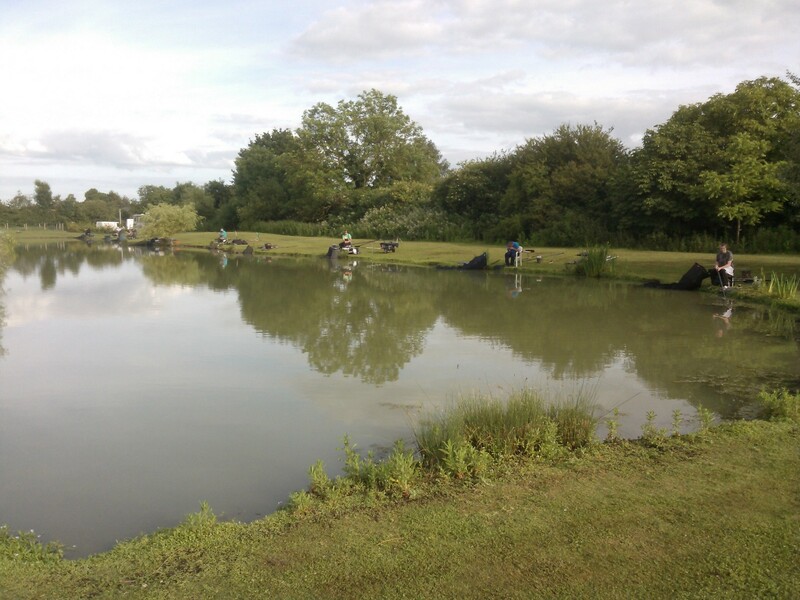 This year’s venue, a private lake in Cambridge, was a pretty setting for the battle for the 2014 MSSC Angling Cup evening match. It is a small, long lake with an island in the middle, well stocked with small Carp, Roach and other mixed species so decent hauls were expected. The 5.30 pm start was nearly jeopardised by the no show from Andy Whitehouse, but 15 minutes from the off he turned up sweating and cursing Cambridge traffic. 5.30 came, we all got stuck in and the usual suspects caught lots from the first cast. Nobby, Robin, Wayne and Dan putting together nice nets of small Roach, Rudd and 4-6 ounce Carp with the odd bigger specimen keeping everyone focused. 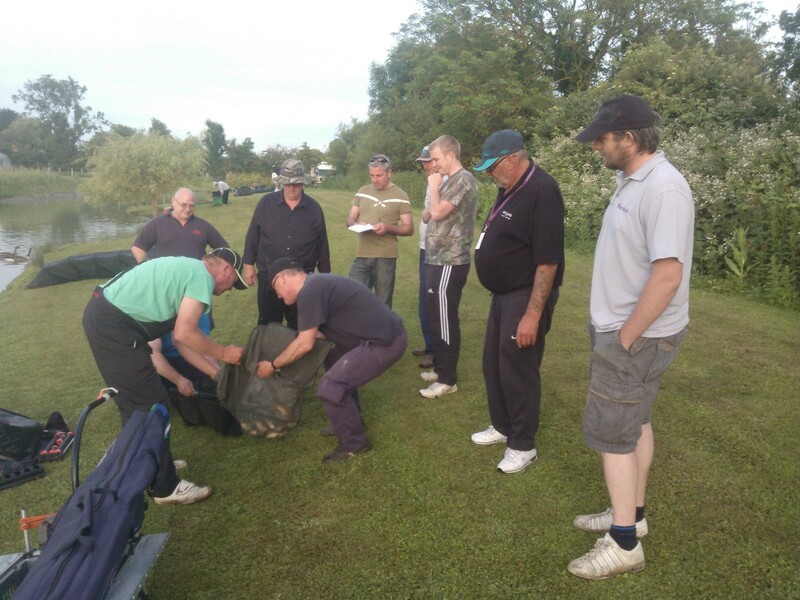 After the first hour things notably started slowing with all seeing a reduction of bites from the initial onslaught, with all Anglers having a few fish in the net it was still anyone’s to win. The tide changed when Robins bite rate drastically slowed (possibly spooking the fish by singing to himself) whereas Nobby consistently keeping the fish coming throughout the evening. Things took a turn for the better when I finally cast to the island margin after sneakily baiting it up for the first hour and a half of the match. Five minutes later I was connected to something that wanted to swim past my neighbour and out to sea! 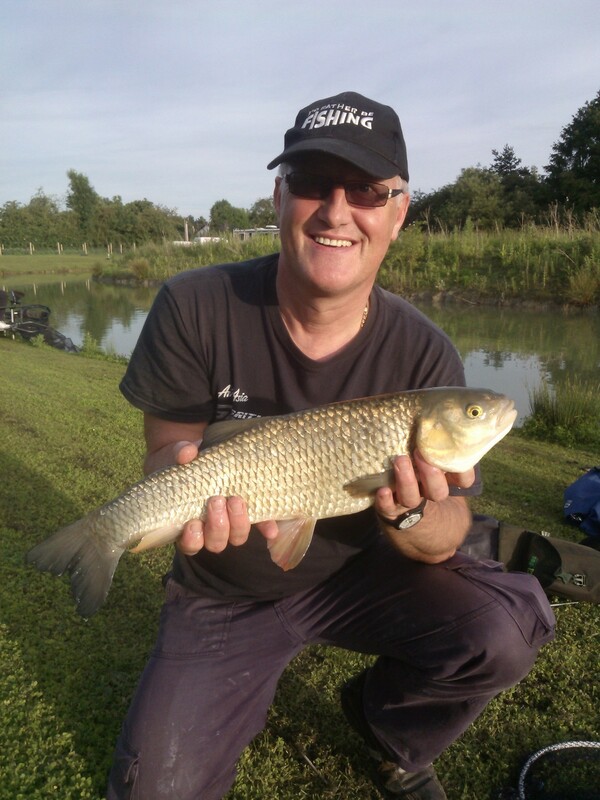 I managed to subdue the torpedo like Grass Carp enough to net it, weigh it and swiftly return straight back. At sixteen pounds, four ounces it rapidly got me back in the running as well as being my first of the Species. 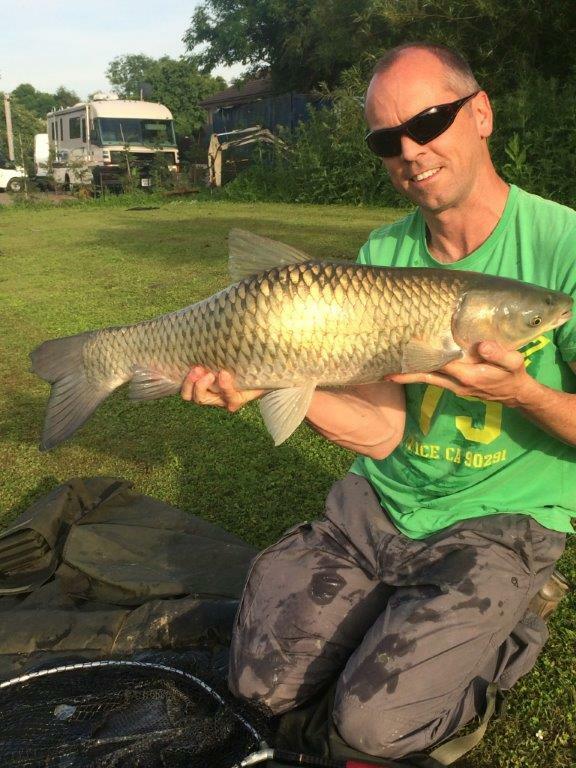 Andy W also banked a personal best in the shape of a four pound one ounce Chub lured into taking a small cube of luncheon meat. 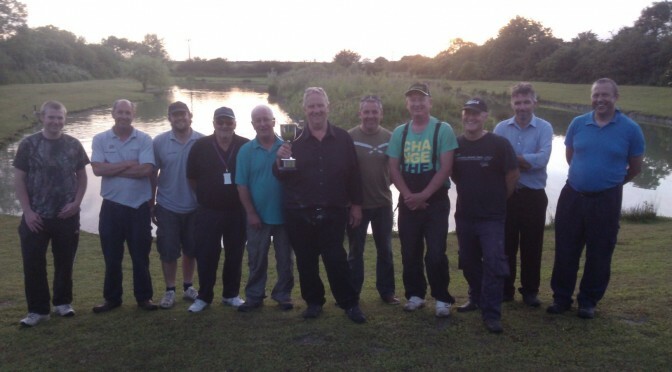 So Nobby lifted the 2014 MSSC Angling Cup beating the reigning champion Robin and indeed us all by quite a margin. Good fishing but even better company summed up the latest MSSC Angling trip out! P.S. A special thanks to those who brought extra keepnets to lend out, enabling a few of us to comply with the lake owners rules. Without them we would have been spectators!